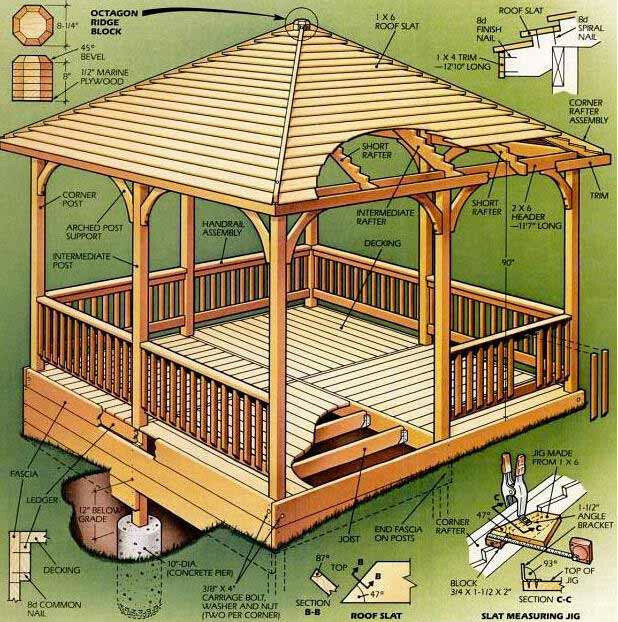 With such a clear gazebo building plan, you should be able to build one yourself. You are clearly shown where to attach different things, what to use and complete measurements. If you already understand different terms in carpentry, interpreting this plan won’t be a bother. But you can give it to a professional woodworker if you need help with interpretation and reading.